Get your home renovation project off the ground with our range of Ryobi tool sets and Ryobi combo kits. With a great combination of tools and accessories, our Ryobi kits have everything you could possibly need to get the job done to the highest possible standard. Whether you’re looking for a Ryobi hammer drill, an impact wrench or even Ryobi lighting and torches, you’ll find it in our range of Ryobi bundles. Take a look at the full range online today. A Ryobi drilling and driving accessory kit could be your best friend on the job site, helping you complete multiple jobs with ease. With interchangeable batteries and chargers across 35+ tools in the Ryobi ONE+ range, you can save both time and money. Plus, Ryobis lithium batteries provide up to 10% more usable power with IntelliCell, meaning you can complete even the largest jobs without having to stop to recharge. 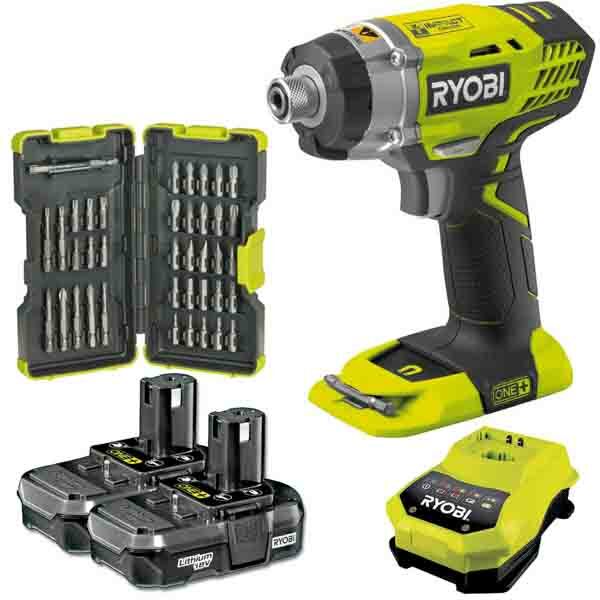 From the Ryobi ONE+ RID1801M-2BC13-A 18V, 220Nm impact driver with 2 x 1.3Ah lithium batteries, super charger & 40pc mixed driver set to the Ryobi ONE+ R18SDS-2BC13 18V cordless SDS+ rotary hammer drill with 2 x 1.3Ah lithium batteries & super charger, youre sure to find a solution that suits your need in our range, helping you complete any possible task. Why Buy Ryobi Sets from SGS Engineering? At SGS Engineering, were proud to sell a wide range of Ryobi drill sets to suit any project. Our Ryobi kits are diverse, meaning that theres something for everyone, from DIY enthusiasts to professional tradesmen. When you buy a Ryobi tool set from us, youll qualify for free delivery if you spend over £50. Plus, we offer a 60 day no quibble returns policy on all of our Ryobi combo kits, so you can buy with confidence. 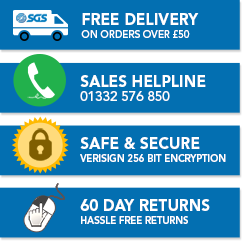 Shop the full range today to find the perfect solution for your project.